As we say our farewells to Corinne, we explore the “limbs” and styles of yoga. This week, Corinne continues her exploration of Yoga back at the site of her original yoga training– Ananda Ashram. She will spend the season working on the farm and delving deeper into her yogic studies. Niyamas (inward or self-restrictions/observances): The 5 niyamas are cleanliness, contentment, spiritual purification, study of sacred texts, and devotion to one’s higher power. Asana (the physical postures): What you think yoga is! Pranayama (breath work): Ever notice how your breath changes when you are angry, or anxious? Breathe deep. Live longer. Pratyahara (sense withdrawal): Prepare for meditation. 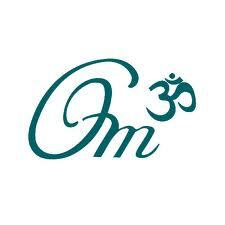 Darana (focused concentration):Mantra repitition– continue to prepare for meditation. Samadhi (complete absorption or nirvana): Ahhh… Bliss!